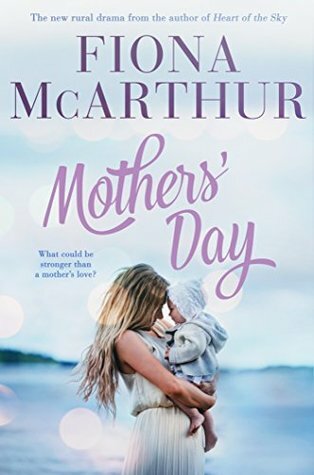 MS McArthur you have done it again written such a gorgeous story, about three beautiful, wonderful woman and their lives as they grow and learn no matter their age and they nurture and gain strength and love together in the beautiful small country town of Burra in the Riverina of NSW and the local maternity hospital. Of course there is a beautiful romance as well, sit back and enjoy, this is a fabulous story. Noni Frost is a single mum to young son Harley and midwife at the local Burra maternity hospital and she feels very strongly about her job and her family she lives with her free spirit aunt Winsome, who runs a guest house, but it looks like the local hospital might need to close if they cannot find a new obstetrician and soon. So when Iain McCloud and his pregnant daughter Jacinta arrive at the guest house sparks fly in many ways when Iain and Noni meet. Jacinta is seventeen, pregnant and has been living on the streets since losing her mother a year before, suddenly rescued by the father she never knew her life is upended she finds it hard to trust Iain McCloud and then he takes her to the country of all places oh but this maybe a good thing when she meets midwife Noni and the awesome Win. Win has led a life of happiness during her years a free spirit in the town of Burra she is popular with everyone and has her weekends to spend time with friends she has always been there for Noni and Harley and now she opens her home and heart to Jacinta and Iain, but it is also time for Win to find her love. Iain never knew he had a daughter and there is a lot of guilt for him to come to terms with, he is a successful Doctor but when he arrives in Burra he keeps a lot to himself but he cannot deny the spark that connects him to the beautiful feisty Noni for very long. I loved this story from page one it is moving there is humour it ticks all of the boxes for a heart -warming romance that will keep you turning the pages I just about inhaled this one the strength that is shown by the woman in the story and then there is Iain wow a stubborn hero but one that is easy to fall for, seeing him when his daughter is having her baby was gorgeous and yes there were tears. Iain is there to save the day when there is a crisis and he left me sighing as did the characters in this emotional, moving, fabulous book, woohoo MS McArthur you rock I loved it and highly recommend this one.